Prior to co-founding Sea Hunter, Alex founded Annex Capital Management LLC, a US based middle market private equity group. Annex focuses on control equity positions in a broad array of industries and also acquires distressed debt and direct equity in the secondary market. Prior to Annex, Alex was a co-Head and Managing Partner of Citicorp Venture Capital, Citi's New York based leveraged buyout fund. Alex had also been a Managing Investment Partner and co-Head of Dresdner Kleinwort Capital LLC, Dresdner Bank’s North American merchant banking group. At both institutions, Alex oversaw their private equity businesses, which included control and minority equity investing, mezzanine, distressed senior debt and, for a period of time, a fund-of-funds program. Before this, Alex worked with several groups at Citi, including the Media Group, the Restructuring Group and Citicorp Venture Capital. Alex received an MBA from the University of Cambridge and a BA in Economics from the University of Vermont. Alex currently serves, and has served, as Chairman and/or a Director for numerous private and public companies, including; Mrs. Field’s Famous Brands Inc., Gardenburger Inc., TeleCorp PCS, Hypercube, NurseFinders Inc., Waddington International, Inc., Remy Inc., StackTeck Systems Ltd., Maxcess International and JAC Products, Inc. Alex is currently Chairman of Big Red, Ltd..
Bobby has worked in the financial industry for over 15-years. Prior to co-founding Sea Hunter, he has co-managed portfolios of private client assets for Deutsche Bank, Wells Fargo Advisors and Wachovia Securities. At these institutions, he was a partner on the nation’s top bank channel brokerage team of managing $1.3 billion dollars and specializing in long-term wealth management strategies for affluent individuals, trusts, endowments and pensions. Robert has been and continues to serve on the board of numerous philanthropic organizations, including; the Young Friends of the Red Cross (Chairman), the South Florida chapter of the Boy Scouts of America (Chairman), the Cleveland Clinic, The Preservation Foundation, American Cancer Society and United Way. He also sits on the investment committee for the Passionist Community of St. Paul of the Cross Province. Robert earned his degrees in political science and economics from Florida State University. Prior to co-founding Sea Hunter Therapeutics, Kevin has been a Capital Markets Portfolio Advisor for over 20 years. Most recently, Kevin was a Managing director for Deutsche Bank’s Private Institutional Client Group. While at DB, Kevin co-managed capital market portfolio’s for some of the Bank’s largest portfolio's as well as consulted on Middle Market capital structuring. Prior to that, he was a Managing Director for Wells Fargo’s Private Bank, where he led the Bank's top team and oversaw portfolio assets which exceeded $1.3 billion. Before joining Wells Fargo, Kevin began his career with Morgan Stanley within their Private Client Group. He has been identified multiple times as one of the top Wealth Advisors in America by both Barron's and Bank Investment Consultant. Kevin received his BA in Finance and Marketing from Texas Tech University. Kevin currently serves as a Board Member for the Town of Palm Beach's Pension Fund. Starting his career in cannabis nearly a decade ago, Matt has become one of the most experienced and accomplished cultivators in the US. He has engineered and lead some of the largest cultivation operations in the industry. Matt’s folio includes the ground-breaking expansion of a grow facility from 30,000 sq. ft. to 130,000 sq. ft. And now with Sea Hunter Therapeutics, Matt will lead the largest grow operation in the industry amassing nearly 150,000 sq ft of pure, premium cannabis canopy at completion. Before cannabis, Matthew worked across the country drafting nuclear stain protocols in some of the largest anatomic path labs worldwide. His experience working with highly regulated biotechnologies has elevated his approach to cultivation. Implementing only the most efficient methodologies, Matt is able to produce the most premier cannabis both in quantity and quality for the world to experience. His scientific training in systemic medicine combined with Kaizen values of increased output through heightened efficiency methods, have made Matt a true force within the industry. Sean brings over 10 years of manufacturing and processing expertise to the cannabis industry. Specializing in all prominent cannabis extraction techniques and methodologies, from carbon dioxide to light hydrocarbon, Sean’s deep understanding of specific ratio formulations, internal testing and analytics has proven extremely successful in scaling operations to meet market demands. Serving in senior roles directing post cultivation processing operations, Sean’s expertise spans the innovation of premium cannabis-infused products, to management of cutting-edge extraction laboratories and kitchens, to the allocation and packaging of those products. His refinement of processes ultimately decreases production costs, increases productivity and brings highly premium products to market. Sean also specializes in carbon dioxide extractions: multiple distillation and post refinement methodologies; subcritical applications; internal testing and analytic capabilities; and supercritical fluid chromatography. Tyler is a seasoned sales and marketing professional with a winning track record of building brands during critical growth periods. His most recent expertise comes from 12 years with Red Bull North America, Inc. Tyler was responsible for creating and executing national retail marketing strategies that optimized sales for Red Bull and its retail partners. During Tyler’s tenure, Red Bull grew from an estimated 20M cans per year to 2.4B cans per year. He started in the Northeast Region building the brand in all primary sales channels. He was promoted to a national sales and marketing position eventually overseeing the entire hotel channel. Strategies included schematic layout based on velocity and margin, visual displays, quality points of distribution, incremental points of distribution, non-traditional CPG pairings, and cold equipment profit zones. He revamped the Red Bull hotel strategy to be more partner centric and created and implemented hotel training for the US sales force increasing sales in the channel by 500% over 4 years. Through his leadership, Red Bull secured the first-ever sales and marketing partnerships with Marriott International, Starwood Hotels and Resorts and Hilton Hotels Worldwide. CJ career in the cannabis industry began in the grass roots market of California in 2005. After learning the basics of cultivation and production, he moved to Colorado’s emerging cannabis industry in 2012 and worked as a General Manager for one of the largest cannabis operators in the country. CJ oversaw a buildout that expanded the facility from 75,000 to 135,000 square feet and grew staff size from approximately 50 to over 200 employees. With a professional demeanor and excellent communication skills, CJ managed a growing staff while collaborating with contractors to ensure continued compliance with strict state Medical Marijuana Enforcement Division standards. In 2015, CJ moved on to Nevada and worked as Assistant Director of Cultivation for the number one dispensary chain in Las Vegas. In this position, he helped to grow the facility from 5,000 square feet of canopy to over 45,000 square feet and increase staff size from 3 to over 30 employees. CJ is proficient in all aspects of medical marijuana cultivation from initial facility design to managing a large scale operation. From seed to harvest, CJ has the knowledge and experience necessary to manage any large scale marijuana cultivation center. Ginger holds the Chief Compliance and Safety Officer position in the organization. Ms. Freel brings over 20 years of cGMP biotechnology experience in QSRs for Research, Product Development, Regulatory and Manufacturing Ops for medical devices (Class II and III), pharmaceuticals and biologics to the endeavor. She has a thorough knowledge of cGMP/GLP/GTP/ISO requirements and FDA, ICH, EU regulations. Ginger is an experienced compliance leader with teams of engineers, scientists and technicians. She is an inventor, proficient in all phases of product life cycle for medical devices, biomaterial/cell therapy products, from design concept to commercialization. Ginger has held management and leadership positions at Diagnostics For All, Cardiosolutions, Inc, Pharmasol Corporation, Organogenesis Inc, and Brigham & Women’s Hospital. She has written numerous research papers, holds several patents, and earned a Bachelor of Science with a Chemistry Minor from Stonehill College. Timothy is a key player in the commercial cannabis industry. Timothy specializes in nutrient control and formulation as well as developing best practices and procedures for large scale cannabis production facilities. He was responsible for the development and implementation of a single element dosing system for one of the largest cannabis companies in the world and personally oversaw the environmental systems and controls. Timothy was a key contributor to the team of people who led to the doubling of the company’s annual production and profits totaling over $65 million in revenue in 2015. He is proud to be a top producer of high quality medicine and is dedicated to providing cannabis and cannabis based products well into the future. Timothy works with clients and license holders in developing and implementing all cultivation systems including fertigation and nutrient control, HVAC, CO2, and lighting. Once the systems are developed, Timothy works to build efficient teams to streamline operations. only location to recreational, increasing the average daily sales from $20,000 to $60,000. Additionally, Carlyssa assisted in the successful opening and expanding of multiple locations as the company continued to increase in size. Carlyssa created policies and procedures and continually implemented new policies based on the dynamic laws of the industry and the growth of the company. While General Manager, she oversaw a growing staff of over 50 employees, was responsible for hiring and and training, managed and audited inventory, and maintained a spotless inspection and compliance record. Matt is a digital marketing veteran of 19 years with proven leadership in delivering innovative digital strategies through brand awareness, organic audience growth, conversion optimization and lead generation solutions. He has extensive experience on both the brand and agency side in executing digital experiences in the highly-regulated financial services and healthcare industries. Most recently, Matt helped build out conversion optimization and digital capabilities at CVS and was pivotal in developing the digital strategy supporting the public decision to remove all tobacco products from CVS pharmacies in 2014. Matt also identified a large digital opportunity in CVS' Real Estate strategy which lead to over $8M in attributable, incremental value. He previously led digital content, SEO and UX strategies for well-known brands such as Monster.com, Goodyear Tires, Liberty Mutual, Bank of America, Aflac and various other national and international organizations. 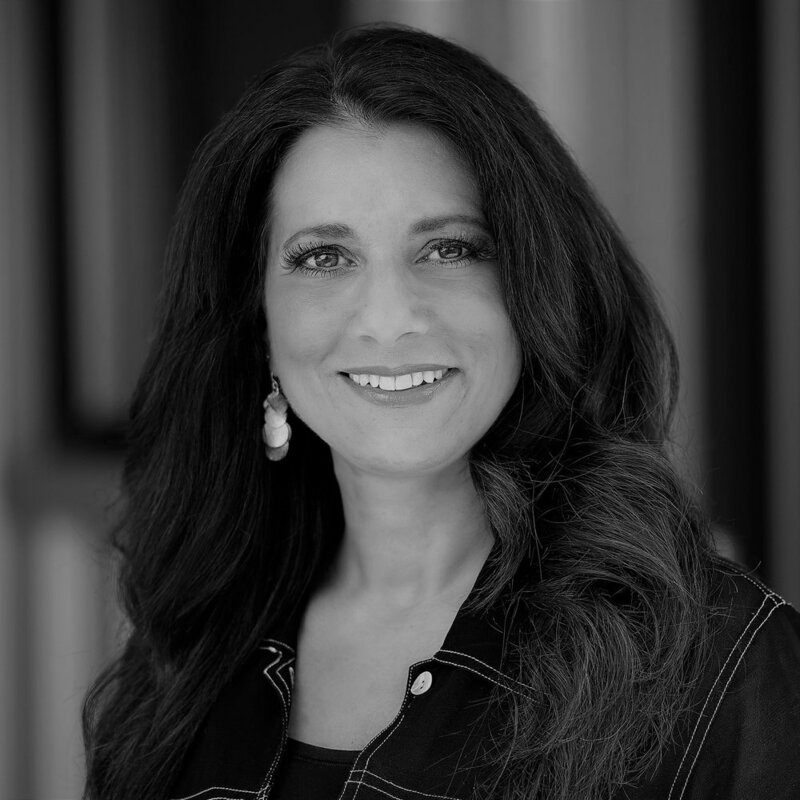 Francesca is a seasoned marketing expert who brings over 15 years of experience in marketing and communications expertise to Sea Hunter Therapeutics. Prior to cannabis, Francesca worked in the luxury fashion and beauty industries overseeing marketing and business development for an iconic Estee Lauder brand. As a dynamic marketing strategist, Francesca drove brand awareness and loyalty through robust consumer engagement strategies combined with synergistic partnerships with like-minded brands, media and influencers, to ultimately surpass revenue goals year on year. Post beauty industry, Francesca was named Vice President of Marketing and Education for Skin Type Solutions, a turnkey retail solution created by world-renowned dermatologist and researcher Dr. Leslie Baumann. In addition to her marketing and branding efforts geared toward dermatologists and other medical professionals, Francesca trained physicians and their staff on incorporating the system into their practice methods, improving patient compliance, satisfaction and product efficacy. Most recently, Francesca entered the cannabis industry as a licensed medical dispensary owner in Maryland. It was with this project that Francesca decided to officially pivot away from the beauty related industries and apply her honed disciplines towards the growth of, not only Sea Hunter brands, but for the cannabis industry as a whole. Francesca currently manages communications for all Sea Hunter Therapeutics brands, strategic relations, education and socially responsible marketing initiatives in the cannabis industry. Connor is an emerging markets professional with over 15 years of executive-level experience in finance, energy management, private equity and real estate. He is responsible for structuring and leveraging strategic partnerships for integration into new markets. Connor earned a Master’s degree in finance from NYU, and a Bachelor of Science degree from Babson College. He spent five years in Manhattan structuring capital raises. He started his own fund and bought a company in Texas that he relocated to Dubai. Connor worked with Sovereign wealth funds and major institutions like Citibank on a global scale. After selling his company and relocating to the U.S., Connor recognized a fit for himself in the burgeoning legal cannabis industry. After a year of doing financial and expansion consulting for LivWell, one of the largest cannabis operators in the country, Connor teamed up with the top producers from that organizations and joined LivFree. Connor is responsible for managing independent contractors. Chris brings over 12 years of successful, strategic sourcing and procurement experience within the healthcare, financial services, and management consulting industries. Prior to joining Sea Hunter Therapeutics, Chris managed all professional services procurement for The Boston Consulting Group on a global scale. With State Street and BIDMC, Chris developed and managed procurement and multi-layered supply chain efficiency strategies. As Director of Procurement with Sea Hunter, Chris’ strategic focus is on non-labor expense reduction, negotiating effective vendor agreements, developing industry-specific spend analytics, and implementing procurement systems and processes. Chris is a results oriented skilled problem-solver in operational improvement, financial management, and systems implementation. He is a subject matter expert in contract negotiations, supply chain analytics, vendor risk management, and procurement processes. He holds an MBA from Woodbury Univ and a BA from CSUN in his hometown of Los Angeles.